No pets allowed at Crestview North. The Crestview North location is your go-to place for on-campus living. With great security and safety measures implemented in these apartment buildings you're sure to live worry free compared to any other apartments on-campus. With every building at the Crestview North location you can also park with ease with our secured parking with a gated key entry. 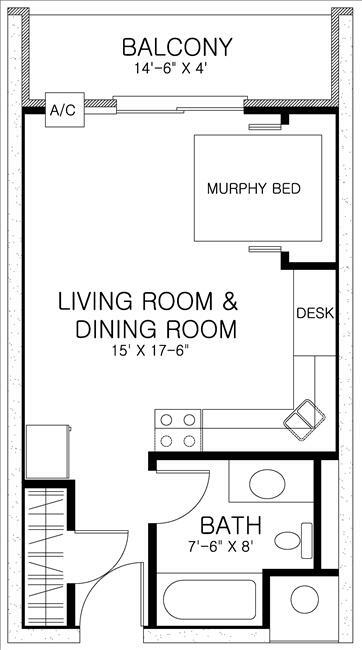 Offering Studios/Studio Lofts,1, and 2 bedroom units there is a wide variety for you to choose from. Laundry on every floor to take away the struggle of lugging multiple loads of dirty laundry up and down the stairs, as well as great interior lit hallways. At Crestview North you are guaranteed a quieter and safer living experience due to our concrete masonry that reduces noise and provides fire protection from possible flames in other surrounding units. With this short 10- minute walk from campus it's an easy walk for daily classes. Stop in or call us at our 270 Littleton St. leasing office to schedule your tour now!